Family Gangs in my Old West Town, Pt 2: The Stones. Another family who make regular appearances in my corner of the Old West. The Stone Family. Pa Stone is a hard man, and he brought up his three daughters to be tough as well. A deadly shot with both hands, Pa Stone taught all his daughters to fight with a gun in each hand – for those times when six bullets are just not enough.. There are precious few crinolines and bonnets in the wardrobes of the Stone girls. Ellen, Eliza, Emma and Pa Stone. Eliza Stone is a Knuckleduster Miniature from the set “Women of the Gun“. 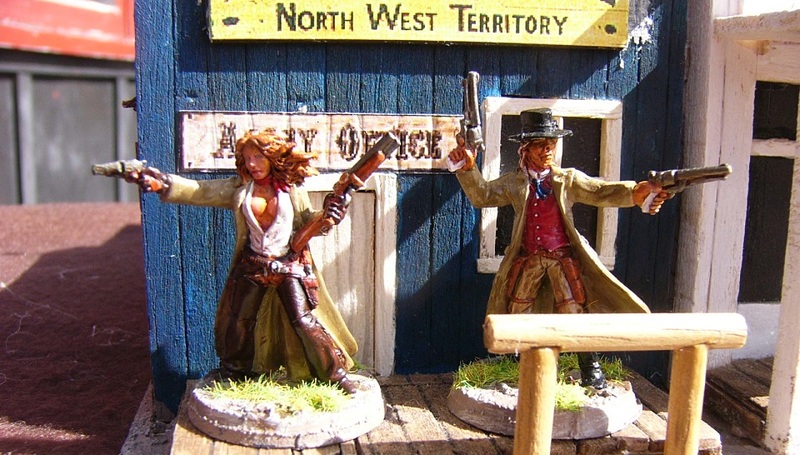 Emma Stone comes from Shadowforge (available from Eureka Minis in Australia) from the set “Wild West Women“. Both these two are Reaper Miniatures. Ellen Stone is a named figure from their Chronoscope range. Likewise Pa Stone is from the licensed Savage Worlds range. 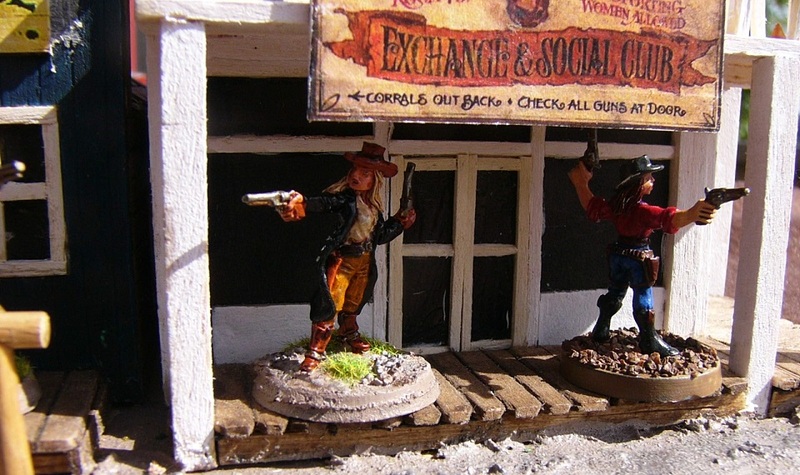 If you are looking for really nice character figures for Old West gaming you can’t go too wrong trawling through the Reaper website. 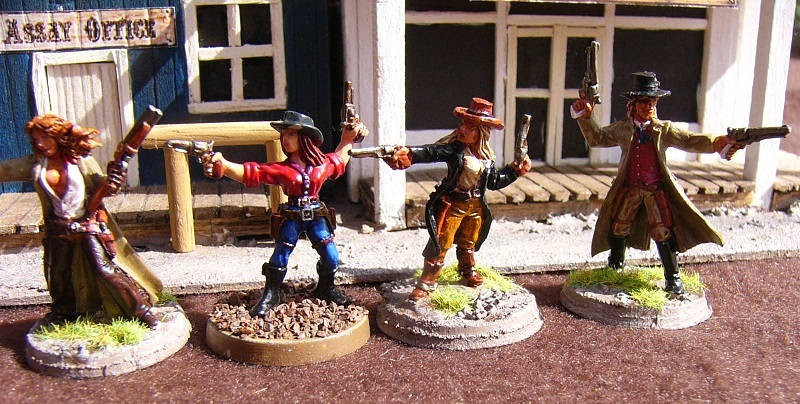 There are some really nice models in the Chronoscope range in particular that are perfect for Wild West skirmish games. Some lovely figures there! Great painting too! !